Written by Michael Small, Executive Director, Renewable Cities. This op-ed originally appeared in the May 4, 2017 edition of the Vancouver Sun. Vancouver voters in the last few days will have been understandably confused by reports that some daft new social engineering scheme is about to threaten their home barbecues. Andrew Wilkinson, candidate for Today’s BC Liberals announced that his party, if re-elected, would move to block the City of Vancouver from “banning natural gas” in their homes. The City responded forcefully, once again, that no such ban has been passed or is being contemplated. Several news outlets unhelpfully illustrated their coverage of this pseudo-controversy with photos of a gas stove-top of the kind found in my house and indeed in many houses in the province. The fact that there is a provincial election on Tuesday no doubt has much to do with this recent eruption in the media. The fact that natural gas is supplied to B.C. homes by a provincially-regulated monopoly — FortisBC — also has something to do with it. FortisBC has been unhappy for months with measures the City of Vancouver has taken that will reduce the future needs of Vancouverites to heat their homes with natural gas. What is actually going on here? What’s happening is that the City of Vancouver, in a methodical, predictable, indeed almost boring way, is implementing a strategy Vancouver City Council approved unanimously 18 months ago. That strategy calls for moving to using 100% renewable energy by 2050. Not tomorrow – 33 years from now. This laudable goal is completely consistent with the B.C. Government’s aim to make buildings ready for net zero emissions by 2032. It is also consistent with B.C.’s own legislated climate change target – passed by the same BC Liberals in 2008 – to reduce provincial CO2 emissions by 80 per cent by 2050. The federal government proposed the same target in their recent long-term climate strategy for Canada as a whole. What’s news is that Vancouver is already moving to take these targets seriously. You can’t get there from here without doing first things first. And in Canadian cities that means tackling waste heat and CO2 emissions from buildings. Buildings are the biggest single source of greenhouse gas emissions in our major urban areas. As every level of government in Canada now realizes, buildings are one of the best starting points to tackle this wickedly complex problem. The standards have long been in place to design and certify more energy efficient buildings. The technology is well understood. Canadian firms already have world class capacity for this kind of design and construction. 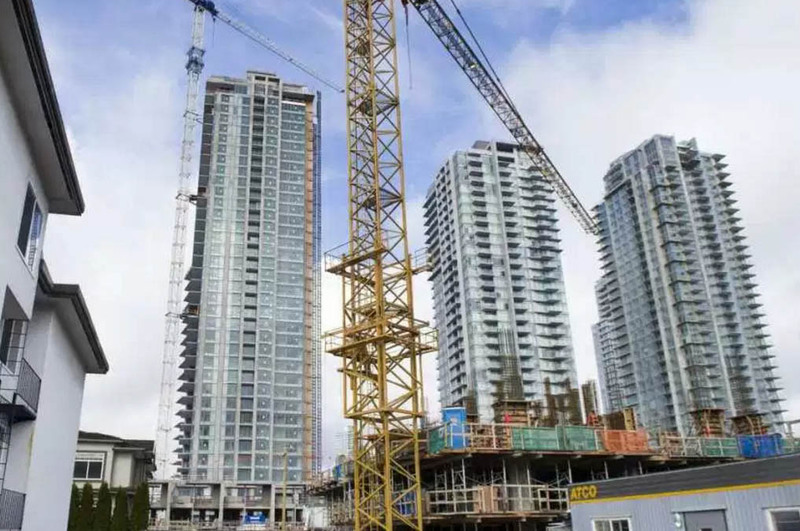 So it is not surprising that those wild-eyed radicals in the development industry, as represented by the Urban Development Institute, have applauded Vancouver’s recent moves. It means that their industry, along with its workers, professionals, and their suppliers, will be doing the right thing for the environment while remaining at the leading edge of building design internationally. It is good for the city’s international brand and it is good for our competitive edge. Above all, it means we waste less energy burning natural gas we don’t need to burn, if houses are better insulated and better designed to take advantage of natural heat sources from the sun and the ground. As for those household uses where natural gas remains hard to replace in the long run by clean electricity, there is renewable natural gas – a product already offered by FortisBC from B.C. farms and landfills. So as of this week, when you see a new application for re-zoning — an every-day sight in this town — what you can expect to see are more efficient, better designed and healthier building being built. Ones that will save on energy bills, reduce greenhouse gas pollution and keep Vancouver at the forefront of the greenest cities in the world. The omelette in your sauté pan, or your freshly roast coffee, or heaven forbid, your plank salmon on the barbeque, are in no way threatened by the City’s updated “Green Building Policy for Rezonings”. To suggest otherwise is just blowing smoke.